People are more likely to call this a social experiment than a vacation for a family that has never gone camping. They are taking my family and sending us to a remote island in the middle of a pristine watery wilderness to survive for almost a week without water and a $1/day food limit, catching everything else we eat. There is nobody to save us this far from civilization, no cell phone towers, huge mosquitos, carnivorous wildlife, rock so iron-rich that a compass needle will spin and only one change of clothes. Add 100-years flood waters on their way from Calgary in Canada during the peak snowmelt season and my hormonal pregnant sister insisting on counting her mercury consumption from every ounce of fish, and a map with the disclaimer, “not intended for navigational use,” and we will see what happens when the politeness ends. What will get me first? The nature or island fever with in laws? The Boundary Waters is part of a 3 million acre national wilderness that sprawls across northern Minnesota with a huge sister park in Canada. It is here that the Arctic glaciers carved some of the deepest scars in the earth pushing the soil south to expose the bedrock, and what’s left is breathtaking. These pristine lakes have never seen a motorboat, so we will be following in the historic paths of the French fur traders by paddling and portaging (carrying our supplies and canoe overhead) across numerous lakes from the nearest gravel road. Our outfitter will help tow us from the nearest path to the Indian portage, where we will cross 6-8 mile lakes and overland trails toward our site on an island with no name. After that, we are on our own to forage for everything else we need. Our food for the entire trip cost us $13.44 for everybody, which is about 84¢ per day. This consisted of a 10lb bag of potatoes, 5lbs of carrots, 5lbs of onions, a bag of apples and some seasoning to make broth. This will supply us about 450 calories per day, so we will need to find food there. This limitation becomes amplified when you consider the 50 miles we have to canoe and hike throughout the journey. Bait- Since virtually all of the soil has been scraped from these lands by the glaciers, digging for worms for bait is not an option. Fortunately, leeches are very prevalent here. See the video illustrating how to farm for leeches with your feet. Fire- Firewood is severely limited except for the small, rotting branches we could scavenge. Unfortunately, rotting wood soaks up water like a sponge, and with drenching rains most days, we had to use some survival tricks. Birch bark peels away into sheets like paper and will burn soaking wet. We were eventually able to learn how to start a fire with soaking wet wood that became hot enough to boil water. Water- Bottles could be topped of when it rained. We also had the ability to filter lake water as needed. You should always plan for the unexpected. Our biggest challenge was catching fish. We were all novices at fishing, trying to follow a fish forecast but they just didn’t bite. After the first day, we had just 1 tiny fish (that we probably should have thrown back). The fish head provided some much needed flavor to the potato stew, but we went hungry. The second day was just as bad compounded by a 30-mile muddy trek and canoe that left us exhausted and pushing through the hunger. The 3rd day, the rains came and so did the fish. We caught 2 good fish, and almost another huge Walleye that snapped the 6lb test line as we were trying to get it off the hook. I caught 2 crayfish to add to flavor the stew and we had our best feast yet. Even the 3rd day, my calories consumed were still under 600 for the day. It was a real challenge. On the last day, we canoed and portaged back to Indian portage to meet our outfitter. I was pretty exhausted and worn down with a caloric intake of less than 550 calories/day. All I could think about was food. We went straight to Dairy Queen. I got bacon cheeseburger meal with a blizzard that weighed in at a whopping 1840 calories, more than I ate the entire trip. It was the clear consensus that we all wanted something more challenging next time. We talked about bringing half the amount of gear, and doing more of a one way trip starting with getting dropped from an airplane into a lake deep into Canada and finding our way home. The boundary waters is the premier in North America for canoeing, but you must book ahead. The peak season is 5 months long from May through September. Reservations are highly recommended, as are alternate dates and all fees are due at that time. Quota permits may be needed for overnight stays and can only be obtained through official issuing stations. The permit reservations lottery occurs on January 20 each year based on all of the submitted requests. Piragis can handle packages, including reservations, permits and gear rental to the boundary waters. Their more adventurous packages include flying all of your gear and canoes to remote lakes in Quetico Park, Canada via sea plane and canoe back to a predetermined pickup point. You will need to arrange a remote border crossing permit in advance. 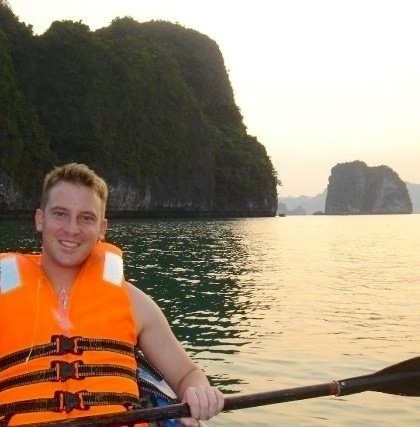 For even more extreme trips, Kim McCluskey runs exotic canoe and kayak trip in far-flung places like Iceland and Vietnam where you can kayak the UNESCO-listed Halong Bay with its vertical tree-covered spires shooting out of the water as far as you can see in all directions. 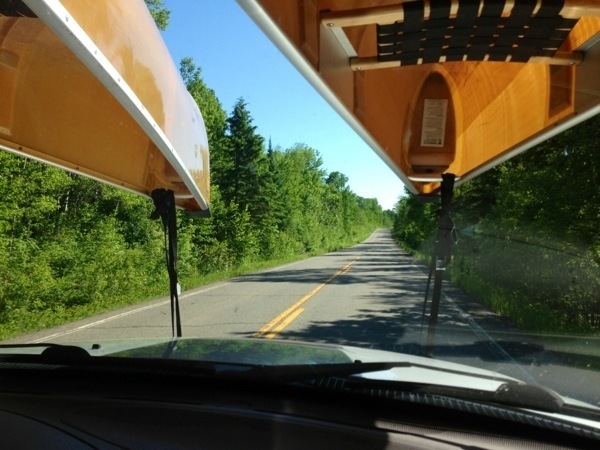 You can fund your trip by driving their sold canoes back home with you. 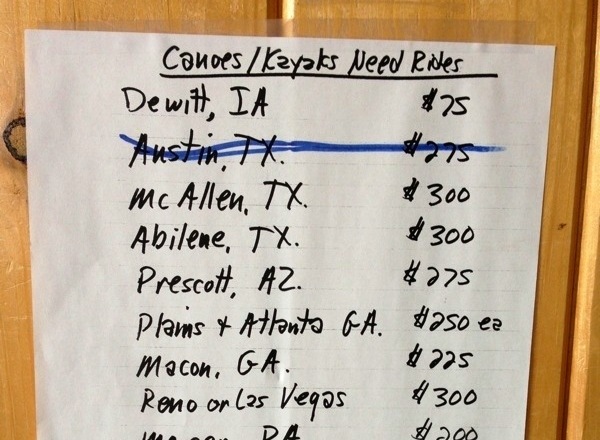 Since they cannot FedEx kevlar canoes, Piragus was paying $500 to drive a pair of canoes to Atlanta. Contact them for current availability. ?? What, is this a tv show?? How fun! Keep me posted, would love to see/read about the adventures!